In March, President Donald Trump released the second part of his Fiscal Year 2020 budget to Congress, which recommends eliminating public media funding. Studies confirm there is no replacement for federal funding. If federal funding is eliminated, local stations could be forced off-air or to cut valued programs or services. Rural communities could lose their only source of local media. Low-income families with preschool age children could lose their children's only source of educational media. Public media funding amounts to about $1.35 per American. Public media funding represents roughly .01% of the federal budget. Cutting public media funding would have no impact on the federal deficit, but would destroy the public media system. Soon, Congress will consider the President's budget and make funding decisions for federal programs, including public media funding. Get involved! A strong, diverse base of grassroots advocates is essential to ensuring the retention of federal funding. You can contact your lawmakers through the Protect My Public Media campaign, which has user-friendly outreach tools. While there, subscribe to their newsletter keeping you informed on what's going on and ways that you can help protect Maine Public and local stations across the United States. Write a "thank you" note! We are very fortunate here in Maine to have strong support from our United States Senators and Representatives. We encourage you to reach out to our Maine delegation in Congress and thank them for their ongoing support of Maine Public and their commitment to funding for CPB in the Federal Budget. 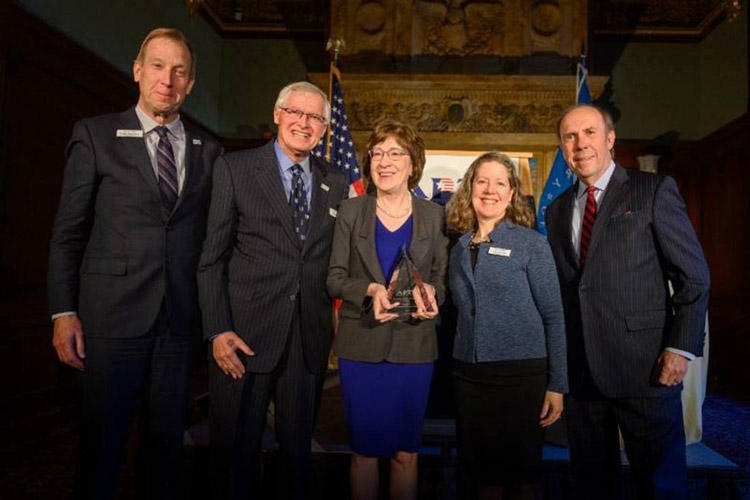 America's Public Television Stations (APTS) recently recognized Senator Susan Collins as a “Champion of Public Broadcasting. Pictured (left to right) Maine Public CEO Mark Vogelzang, Ron Bancroft, Maine Public's Board Chair, Senator Susan Collins, Maine Public VP Clare Hannan, and Pat Butler, President and CEO of APTS. A strong, diverse base of grassroots advocates is essential to ensuring the retention of federal funding. A great resource is the Protect My Public Media website and we encourage you to take a few moments and see how you might become involved. Protect My Public Media is an action network of Americans who are dedicated to protecting local public television and radio stations and the programming and services they provide. Protect My Public Media directs audiences to take action to protect the federal investment in public media. How does federal funding work? 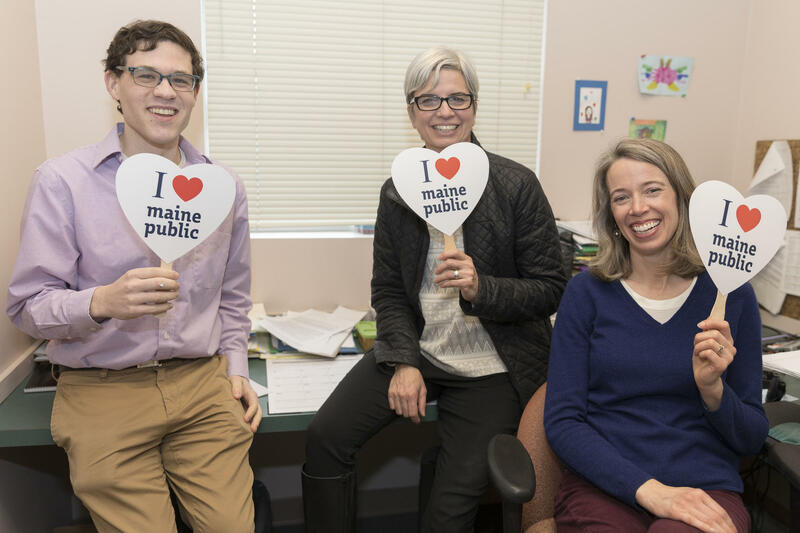 Federal funding supports specific programs, like the Corporation for Public Broadcasting, Interconnection and Ready To Learn, that enable Maine Public to deliver high-quality non-commercial programs and services that you can’t find anywhere else. You can learn more about Interconnection and Ready To Learn on the Protect My Public Media website. The Corporation for Public Broadcasting (CPB) is distinct from both NPR and PBS. It is not a broadcaster, but a private corporation created by Congress in 1967 with two primary functions: to serve as a firewall between partisan politics and public broadcasting, and to help fund programming, stations and technology CPB receives federal funding from Congress two years in advance, per the Public Broadcasting Act. Once received, CPB distributes funding based on a formula that is set in law. Federal funding is essential to the funding mix that supports public broadcasting. CPB funding provides critical seed money and basic operating support to local stations, which then leverage each $1 of federal funding to raise approximately $6 from local sources — a strong return on the taxpayer investment. Federal funding provides essential support for public broadcasting's mission to ensure universal access to high-quality, non-commercial programming that educates, informs, enlightens and enriches the public, with a particular focus on the needs of under-served audiences, including children and people of color. In many rural areas, public broadcasting is the only source of free local, national and international news, public affairs and cultural programming – and with such small populations they often rely more heavily on federal funding. Without it, these stations would likely be unable to continue to provide local communities with news, information, cultural and educational programming that they currently provide, and could even go off the air altogether. In addition, the CPB helps negotiate music rights for all public stations and provides administrative support, allowing stations to aggregate together for cost-effective sharing of information, research and services. Funding for the current fiscal year, FY2019, has been distributed to the CPB, and first payments have been made to stations, including Maine Public. The federal appropriation for CPB is approved two years in advance which is designed to provide a buffer between funding and partisan politics. $30 million for Ready to Learn. Robbie Feinberg, Susan Sharon and Patty Wight show where they stand on supporting Maine Public. How much CPB funding does Maine Public receive? This year, approximately 13 percent of Maine Public's budgeted revenue will come from the CPB, about $1,780,000. 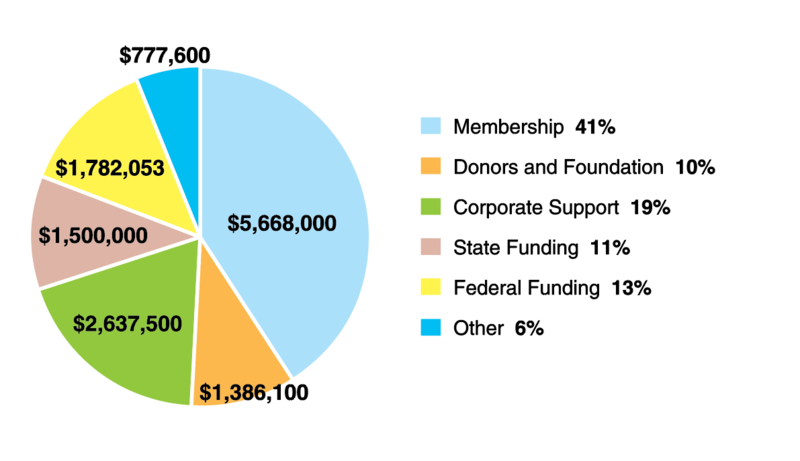 Maine Public's entire operating budget is $13,750,000 and 51% of that support comes from membership and donor support. What would happen if Maine Public lost CPB funding? At Maine Public, we feel it's important to receive funding from many diverse sources, including individual listeners, local businesses, foundations and the CPB. Losing CPB funds would have a noticeable effect on our ability to serve the community with local news and music programming.